Too often the words quality and precision are tossed around indiscriminately. What do they actually mean describing a manufacturer’s reputation to produce and deliver products? Is it the design or manufacturing process that ensures quality? Is it having products that seldom fail? Or, is it just peppering the spoken and written word with the terms, with little meaning behind them? Most manufacturers would respond that processes are proof of quality. When procedures and equipment consistently produce a high-end result, that denotes quality. Ultimately, it’s a proactive, top-down approach rather than a reactive or “fix it” approach to doing business. 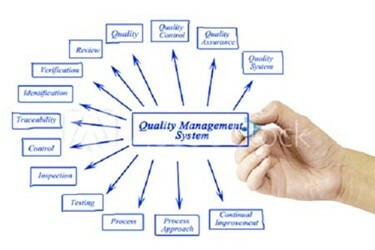 Quality doesn’t exist unless it is a top-down effort that is demanded at every level until it permeates the enterprise. 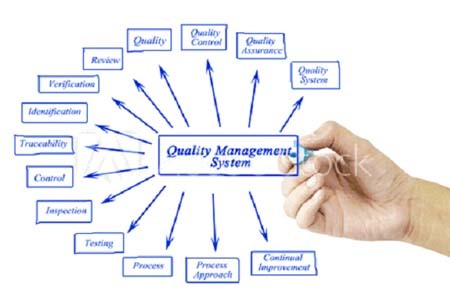 Not only does the concept take a major commitment on the part of high management, extreme training must continually deliver the quality-driven message to all employees to ensure that all are onboard with what quality means, how it is expressed and most important, why it is critical. Within Canon’s motor division, there are several examples as to how this plays out. For example, two of the major components found in brushless DC (BLDC) motors are magnets and windings; Canon has a quality-based approach to components and the materials of construction. A BLDC motor uses a permanent magnet in the rotor and to achieve maximum torque the flux density of the material must be high. This requires magnetic material that is able to deliver this appropriate magnetic field density. Many companies consider the bottom line during the purchasing process, a process that can hamstring quality. Cheap magnets are imprecise, can cause inconsistent speeds, may not hold the minimum voltage and can be difficult in regards to motor control. Choosing the right magnet for the motor is critical to success. Canon’s philosophy is that it takes intelligent resource allocation in order to make a high-quality and high-precision product. That carries over into how Canon also approaches motor windings. BLDCs may have diverse physical configurations as single-phase, two-phase or three-phase motors, with three-phase motors based on a permanent magnet rotor being the most common. A motor stator features stacked laminations that carry the windings. The windings are placed in slots cut along the stator’s inner periphery. Each winding is constructed with many interconnected coils so that one or more coils are placed in each slot, with windings distributed over the stator periphery. Canon insists that its windings be smooth to deliver optimum performance. And again, even with windings, Canon tends to spend more money to achieve better production results. The company believes that when components or materials are inferior, the complete product suffers in performance and reliability and is often unable to achieve consistent tolerances. BLDC motors are used in such applications as those involving varying or constant loads and positioning in industrial control, automotive, aviation, automation systems and healthcare equipment. They are used in electric and hybrid vehicles, industrial robots, appliances, fans, pumps, blowers, computer hard drives and other belt-driven systems, applications where motor failure ranges from unacceptable to catastrophic. At Canon, quality is a consideration that spans concept inception through product development and creation. It involves the entire process with the ability to achieve stable and predictable results and a commitment to continuous improvement. Canon goes further than most. For example, for the BLDC winding process, at each phase of manufacture the product is put through a checking station. Although this represents a more expensive way to manufacture, Canon knows that it pays off. According to the company, without the right process the right results will never be achieved. From innovation and design through purchasing, manufacture, checking and test, Canon does more. In design, when Canon specifies mechanical tolerance on a drawing of +0.5 mm, its factory tool setting is typically set tighter, possibly at a +0.3 mm. This means that the manufacturing process setup is much more precise than what even the drawing indicates. At the purchasing stage, Canon maintains extremely high vendor standards and implements review processes that are more stringent than its competitors. Quality standards aren’t good enough; Canon uses its own, more stringent standards and better tolerances than the market. At Canon quality and precision define the company’s reputation. That sounds simple; it isn’t. There are several companies that enjoy a reputation of higher-quality and better performance in their industries. In the BLDC arena it’s Canon. What is common for these companies is a philosophy that quality is non-negotiable and that quality control at each step is a must. At Canon, it’s more than total quality management. Canon’s approach of performing every possible step in-house to maintain the company’s culture of quality is evident. The ability for customers with demanding expectations to purchase high-quality, consistent products is important to Canon, as are the organization’s commitment to precision based on tolerance, material selection and processes. It’s a concept-to-finish commitment where quality control throughout is unrivaled. Canon USA Motion Control has earned its reputation and continues to maintain it, every step of the way.